This is an entry model of the sublimation transfer printer that features only a selected set of functions so that you can readily use it. The printer is bundled with Mimaki's RIP software, RasterLink6, enabling you to start printing right after introducing it. It also comes with Mimaki's Sb54 ink, which offers stable ink ejection by lowering the settlement property of dye. 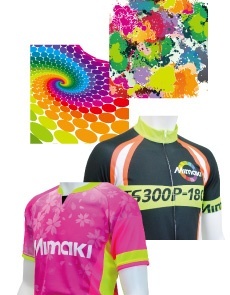 Even first-time users can use the sublimation transfer printer at ease. A broader choice of designs with fluorescent colors. High value print and rich expression. Your graphic designs and photo images will stand out with neon color print.